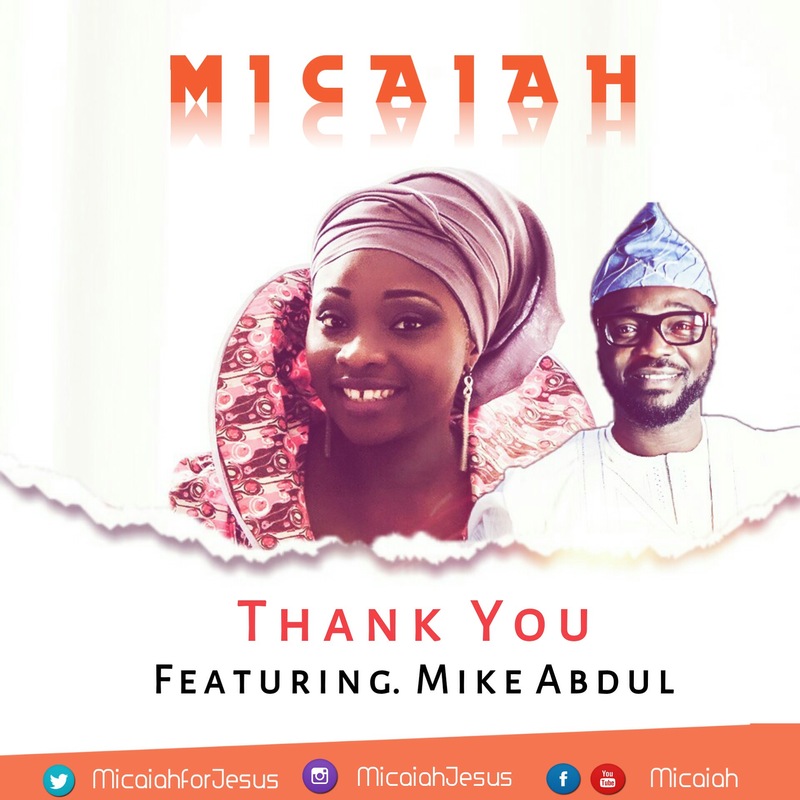 Finally, the much anticipated single “Thank You” by US based Gospel artiste Micaiah featuring uber-gifted Gospel artiste Mike Abdul finally drops! “Thank You” is an expression of gratitude, a befitting song of praise born out of a sincere acknowledgement of the benefactor. Micaiah enlisted the expertise of Spaghetti Records’ boss and member of Midnight Crew Mike Abdul to make the Afrocentric vibe an outstanding effort. In August 2014, Micaiah released her debut album “Tani t’Oluwa” with production credits to prolific Wilson Joel. Tracks on the album include: “Duro d’Oluwa”, “El-Shaddai”, “Oya Dance” and of course the title track as well. She is the host of “The Micaiah Show” on TruSpot Internet Radio and has ministered in – well over 50 places around the United States which include singing the Nigerian National Anthem at Airhogs Stadium, the African-American Christian Women’s Conference, in Dallas, Texas, RCCG Georgia, North Carolina, Houston, Nigerian Fashion and Beauty Awards, Houston, Texas amongst others.